Sold in one gallon jug. This product is not for human consumpution or food processing. Keep out of the reach of children. 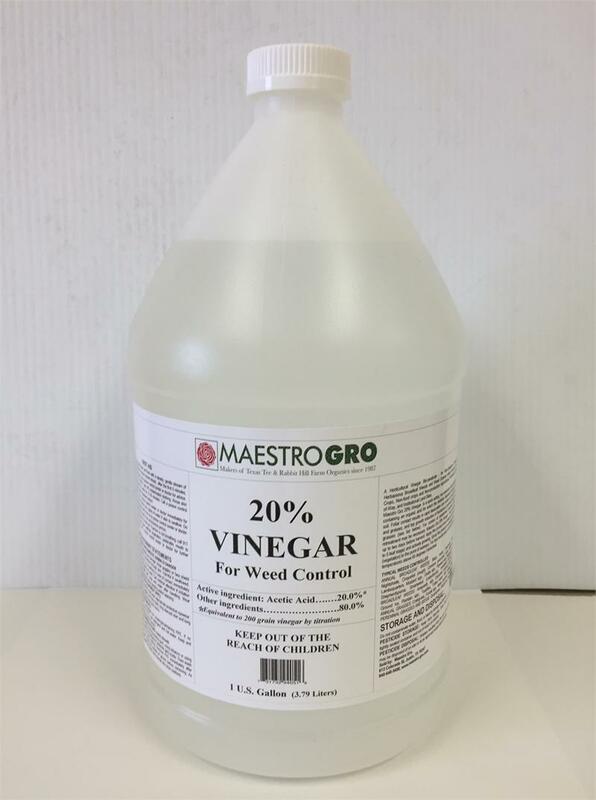 This product is acidic and can cause eye and skin irritation or discomfort. Do not allow contact with face, skin, mouth or clothing. Wash thoroughly after use. If splashing or spillage occurs, wash immediately and change clothing. 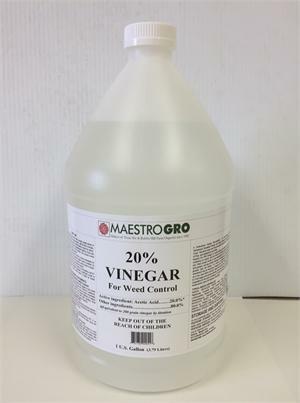 If your pre-emergent fall application to control Henbit didn't work and you're inundated with them now (February 09) and are tired of weeding by hand, try Maestro Gro's Vinegar 20%. It worked on it's first application for me, and I'm back for 3 more gallons! Finally a product (and Green one at that) that actually does what it's purported to. Thanks Maestro Gro!! !